CBM produced waters typically contain numerous chemical constituents (see Table 5.1), several of which are potentially toxic to fish, macroinvertebrates, and other aquatic organisms, when concentrations exceed toxicity threshold levels for these organisms. Stressors (whether described as constituents or contaminants that put stress on target species) of primary concern associated with CBM discharges include aluminum, arsenic, barium, beryllium, iron, manganese, and selenium, increased turbidity and TDS. Recent studies have also examined the toxicological effects of sodium bicarbonate, an ion of abundance in most CBM water. Most published research investigating these stressors indicates that increases in TDS have the greatest potential for direct toxicological impacts in receiving streams and rivers (Boelter et al., 1992; Confluence Consulting, 2004; Davis et al., 2006; Skaar et al., 2006; Farag et al., 2010). Recent studies have shown considerable variation in the toxicity of TDS due to the difference in relative concentrations of specific ions comprising TDS (Mount et al., 1997; Dwyer et al., 1992). Specific ionic composition will also change seasonally and among watersheds (Pillard et al., 1999). Details of existing laboratory studies on the effects ofTDS, of interactions between elevated TDS and other stressors, of sodium bicarbonate on organisms, and of field studies on the effects of CBM produced water on organisms are outlined in subsequent sections. Many freshwater organisms are highly sensitive to changes in salinity, and discharge of high TDS effluents into receiving systems may result in physiologically stressful conditions due to alterations in osmotic conditions. Most of the available research on sensitivity to TDS and salinity used laboratory toxicity tests to predict responses of fish and macroin-vertebrates and focused on conventional test species. These studies are used to understand the potential significance of various constituent concentrations to organisms. In laboratory tests on standard test organisms, major ions such as chlorine, bicarbonate, sulfate, sodium, calcium, magnesium, and potassium in combination with elevated TDS have been found to be toxic to some aquatic species (e.g., Goodfellow et al., 2000; Goetsch and Palmer, 1997; Pillard et al., 1999; Dickerson and Vinyard, 1999; Chapman et al., 2000; Soucek, 2007). 1,100 mg/L. Mayflies were found to be sensitive to sodium, with LC5012 values of approximately 900 mg/L TDS. Chapman et al. also reported that aquatic organisms with no history of high-TDS exposures could be able to tolerate TDS concentrations of at least 1,000 mg/L. In a study predating CBM development in the Powder River Basin, Boelter et al. (1992) conducted laboratory toxicity tests with produced water collected downstream from the Salt Creek oil fields. Salt Creek is a headwaters tributary of the Powder River. Salt Creek was primarily impacted by traditional oil and gas development at the time of the study with produced water, therefore, of different composition than CBM produced water. This difference notwithstanding, results of this study have potential relevance to CBM produced water disposal in streams and rivers because the researchers isolated the toxicological effects of major ions that are present in oil, natural gas, and CBM produced waters. The data reported by Boelter were used to complete toxicity identification and evaluation analysis, an empirical procedure designed to identify specific sources of toxicity in complex effluents. The analysis revealed that toxicity, if it was to occur, would have been primarily a result of sodium, chlorine, bicarbonate, and carbonate concentrations in combination. In reality, the predictability of toxicity of CBM produced water to aquatic organisms is complicated by (1) variations in geochemical characteristics of CBM produced water among geographic regions and basins (see Chapter 2) and within a single watershed (Van Voast, 2003), (2) the timing of produced water discharges, (3) the receiving stream's quality and flow conditions, (4) the degree of instream mixing and dilution, and (5) the diversity of biological agents among basins. Exposure to one stressor (contaminant) may increase susceptibility of aquatic species to other stressors (Clements, 1999; Paine et al., 1998). Pertinent to CBM discharges, research has shown that some contaminants are more toxic under conditions of high TDS than when found in water having relatively low TDS concentrations (see e.g., Chapter 2, Table 2.2). Additionally, the converse has been reported in the scientific literature—that is, the presence of some specific contaminants may exacerbate toxicity associated with elevated TDS concentrations (Anderson et al., 1994; Hall et al., 1994; Dickerson and Vinyard, 1999). Pillard et al. (1999) recommended that potential interactions between high-TDS effluents and other stressors (contaminants) be closely considered during CBM exploration and development, because a variety of physical and chemical stressors may be introduced into watersheds during the development and production periods. Additionally, long-term alterations in streamflow may influence the effects of discharges from CBM on aquatic ecosystems. Boelter et al. (1992) reported that toxic effects of discharges from oil fields in Salt Creek drainage were greater and extended much farther downstream in the Powder River during periods of low-flow conditions. 12LC50 is defined as the concentration that resulted in 50 percent mortality of test species. COALBED METHANE PRODUCED WATER IN THE WESTERN U.S. 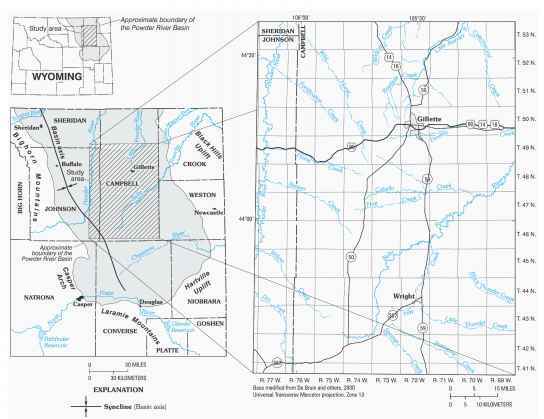 FIGURE 5.5 Map showing location of the study area in the Powder River Basin, Wyoming. SOURCE: Bartos and Ogle (2002). TABLE 5.2 Predicted Mortality of Fathead Minnows (Pimephales promelas) Exposed to Water Quality Composed of Constituents and Concentrations Represented by Mean Concentrations from CBM Water Samples. NOTE: Samples were collected from the Wasatch and Fort Union Formations, Eastern Powder River Basin, Wyoming. Samples W5 and W6 are wells located in the Wasatch aquifer. Sample C11 is from the Wyodak-Anderson coal zone (Fort Union formation). SOURCES: Analytical data from Bartos and Ogle (2002); predicted mortality based on model in Mount et al. 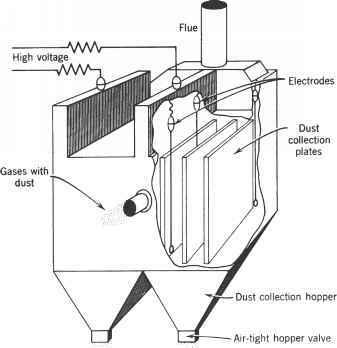 (1 997); toxicity test protocols followed EPA (2002); calculations completed as part of this study. magnesium, chlorine, and sulfate found in CBM produced water from the Wasatch and Fort Union formations from the eastern Powder River Basin in Wyoming.